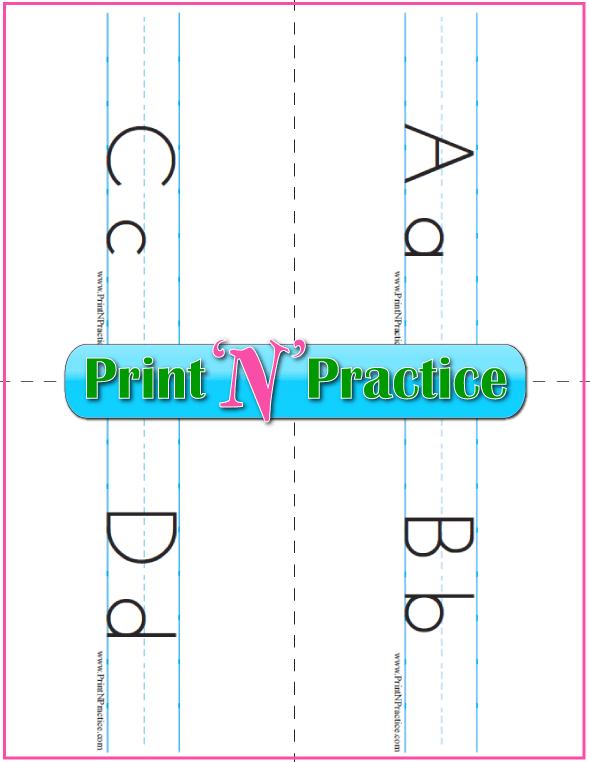 See our printable alphabet flashcards below the video. These treasures include top, mid, and base lines! Whew! Children can actually place their alphabet letters on the line. (Hint: Do the same at the board.) 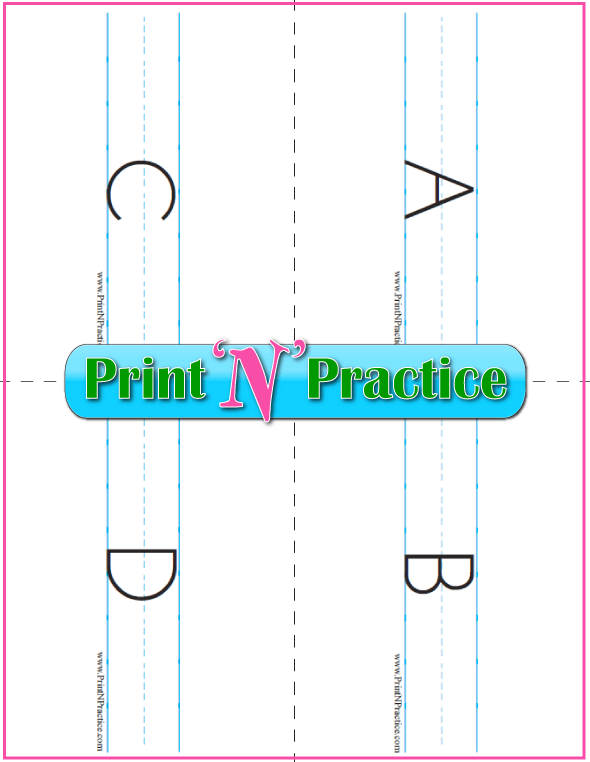 The lines help children keep letters like j, p, and y from floating above the lines, etc. 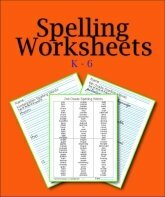 Alphabet activities are the key to naming the 26 letters of the alphabet easily. Personally, I prefer to teach the phonics sounds first as I think that helps the children read sooner. 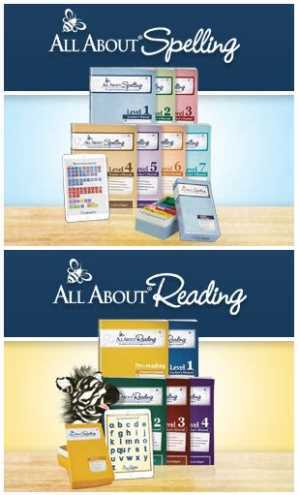 That way kids do not feel as if they are learning a whole new set of letter sounds for reading. The time that knowing the names of the letters of the alphabet is handy is with spelling out loud. 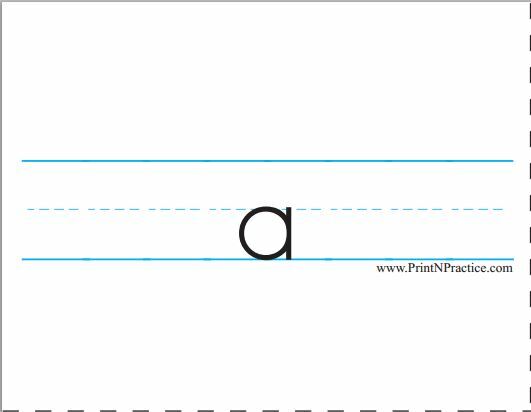 Also, whichever way you go, you can teach that "This is the letter's name, A, and it says a, ay, ah depending on the rule...." as we do when we say, "This is a dog and it says woof-woof...."
See our printable Alphabet Worksheets here. They have all 26 letters of the alphabet for your students to practice making their letters. They have room for pictures, too. Teaching the alphabet letters is so much easier with alphabet flashcards on video. This way the right sound is guaranteed to always be with the correct letter. This video courses twice, once slowly with time to repeat and the second time, the speed is faster. It also uses the capital letters with the lower case letters. Our ABC flashcards video makes it easy to let your students review the alphabet independently. We all know that it can also be a serious trick to be able to personally dictate the repeat practice and drill that is necessary for mastery so we have produced the following alphabet video for teaching the alphabet. The right letter is with the right card! Also, the cards will not be shown upside down or spilled out of learning order. 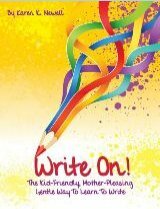 If you're teaching your children at home and wonder HOW to teach reading using the phonetic alphabet letters, The Writing Road To Reading by Mrs. Romalda Spalding offers not only the rules but the theory behind teaching reading and writing. 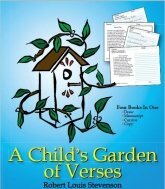 It is a real blessing when you can absorb this book before teaching reading and writing, since you will have learned a lot of short cuts. 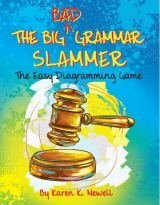 Also, it covers handwriting, phonics, reading, writing, grammar and so much more so that it is a real savings in buying curriculum for your children. 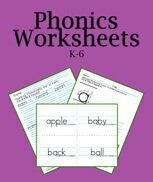 If you'd like videos that "teach the teacher how to teach reading and writing" Mrs. Barbara Beers' Phonics Road is a God send. She covers all of the above information in a way that covers what is in the WRTR with a Little House book. We have seen older students use these videos to very good purpose, too.